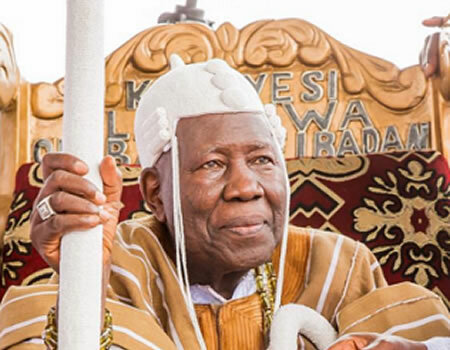 Ahead of the chieftaincy title conferment ceremony at the palace of the Olubadan of Ibadanland, the first-class king, Oba Saliu Adetunji has said the event is unstoppable and irreversible. Oba Adetunji was reacting to a statement credited to two Ibadan obas on the proposed conferment of the honorary chieftaincy titles on some eminent Nigerians including the incumbent Minister of Communication, Mr. Adebayo Shittu. In a press statement by his media director, Adeola Oloko, Oba Adetunji said there was no rule and regulation that he had flouted by conferring titles on deserving personalities. The Olubadan also called the law-enforcement agencies, particularly the police, to rise up to the task of providing the needed security to avoid the repeat of September 25 incident when some yet-to-be identified gunmen invaded the palace during chieftaincy installation.